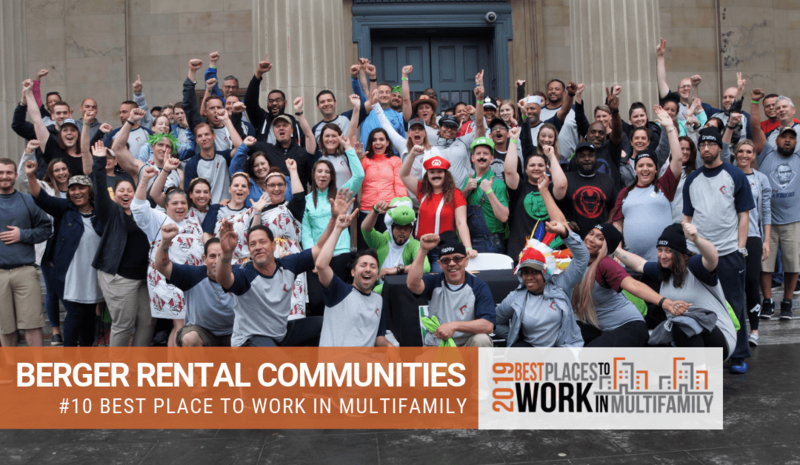 December 4, 2018 – Berger Rental Communities was named as one of the Best Places to Work Multifamily™ . The annual list of “Best Places to Work Multifamily™” is published by Multifamily Leadership. The Multifamily Industry, serving apartments and their residents, contributes more than $3.5 billion to the economy everyday, supporting more than 12.3 million jobs. Not only do apartment homes drive jobs that strengthen local communities, individuals and families realize the value of renting as a smart choice in today’s economy. As CEOs and executive teams create culture and innovation around the resident experience, employee engagement is seen as a key driver to meet multiple challenges. The Best Places to Work Multifamily™ program recognizes those companies who have established and consistently foster outstanding workplace environments. The rigorous assessment process evaluated each company’s employee policies and procedures as well as responses from the company’s employees. 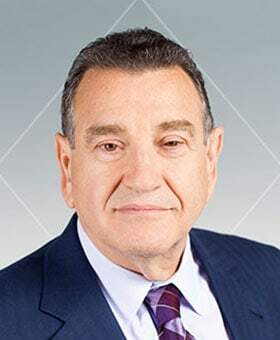 The program is part of a long-term initiative to encourage growth and excellence throughout the Multifamily Apartment Industry and to attract new leaders to the industry. If you want to know if it’s a great place to work, you ask the people who work there. Patrick Antrim, Founder and CEO of Multifamily Leadership says, “Employee engagement is actually a much more powerful indicator of organizational success than the size of the company, as employee engagement is tied to behavior and higher performance.”The program also helps companies who want to improve their business. The “Employee Feedback Report” is presented to each participating company, even if it did not make the list. The report summarizes employee engagement and satisfaction data, the “Multifamily Leadership Benchmark Report,” and the transcript of employee written comments. The report is used by many organizations to make significant improvements in their workplace culture. At the Summit, national benchmark data from organizations compiling research specific to the Multifamily Industry was revealed. The business environment of the 21st century is characterized not just by competition and ever-increasing technologies, but also by a heightened appreciation for the quality of the workplace. In a world of continuously shrinking margins and challenges attracting next generation workforce, a progressive leadership strategy is critical to creating and sustaining a competitive advantage. One measure of such strategies is the quality of the workplace experience. Indeed, the enhanced awareness of the importance of creating great workplaces is evidenced by the growing body of literature regarding workplace excellence. For more information about, and to register for, the “Best Places to Work Multifamily™” program, go to www.multifamilyleadership.com .